We’re always looking for enthusiastic people to join our hospitality team. 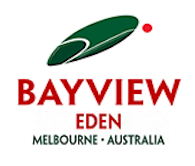 For more information about jobs at the Bayview Eden Melbourne hotel, please see the vacancies listed below. Alternatively, you can contact us by email at bayvieweden@bayviewhotels.com.